EXPANSION DECK BOX SET 01-Mighty Heroes- comes with great additions to your Hero decks! ! 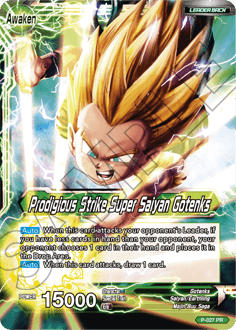 This card unlocks all kinds of new possibilities for Gotenks Decks! 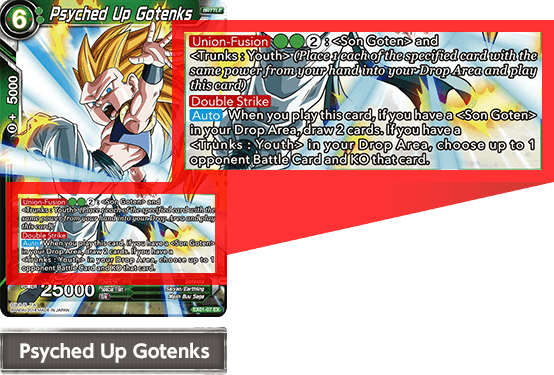 Play ＜Psyched Up Gotenks＞ with Fusion to bring out its true potential!! 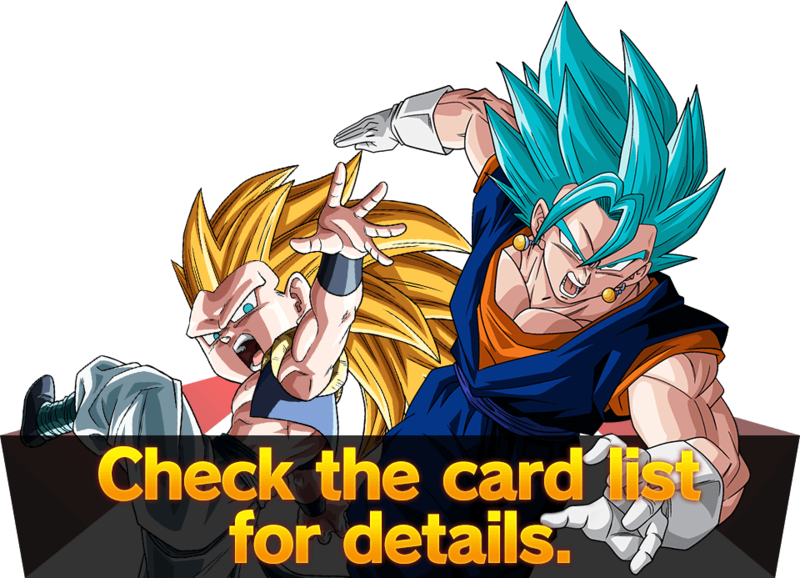 Getting SSB Vegito into play! 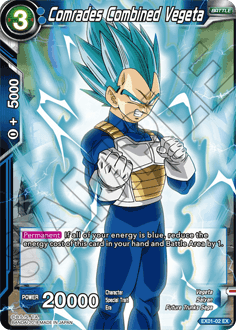 Union-Potara costs blue energy to play, so let’s make a mono-blue Saiyan deck focused on energy control and power it up! Aim for a quick Union! Let’s put these two cards from Expansion Deck Box Set 1 to use. 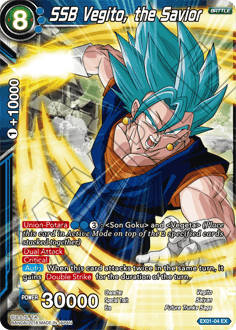 Goku’s skill allows you to play Vegeta, whose 20,000 power makes him very difficult to deal with for your opponent. 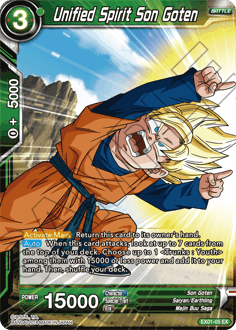 On the next turn, play Vegito and move to the end game! 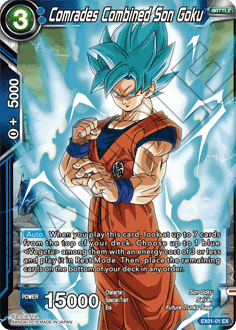 The Vegito leader from series 2 and the Trunks from the Expansion Deck Box are all good options for reliably playing Vegito early! Give them a shot! 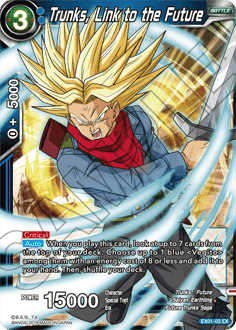 Powering up a Gotenks deck! 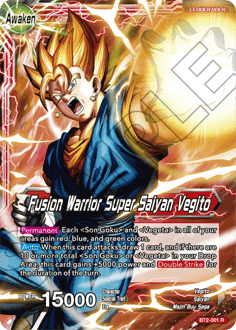 Let’s take advantage of Union-Fusion cards from series 2 to create a powerful deck to call your own! 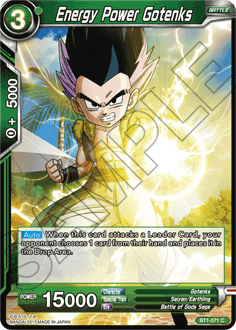 These two cards from the Expansion Deck Box Set pair with each other, and can also be returned to your hand during your main phase to synergize with Gotenks! 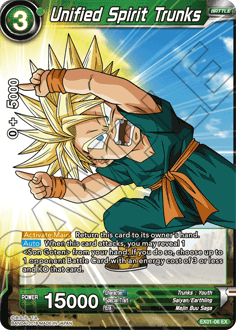 Gohan can also search for ＜BT1-069＞ Trunks and other cards, allowing you to flexibly respond to the situation! 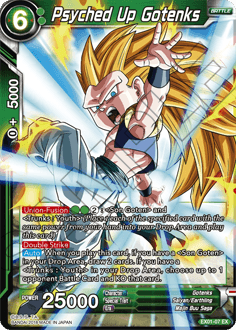 Using cards like Draft Box 01’s leader Gotenks and ＜BT1-071＞ Gotenks will allow you to decimate your opponent’s hand and control the board!